If you received a gift code from your employer, please login below to choose your gift. Set containing 1 Grand Cru Thermos Mug and 1 Drinking Bottle. Grey, blue, plum and white. 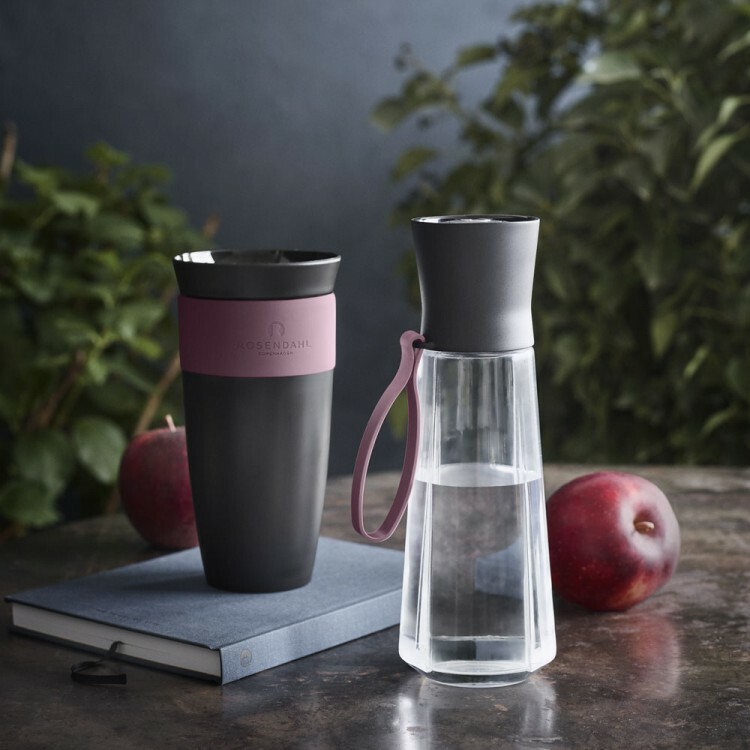 The Rosendahl Grand Cru To Go Thermos Mug is perfect for hot drinks when you are on the go. It keeps the liquid hot for hours and can hold 28 cl. The Mug is completely free of phthalates and bisphenol A (BPA). The Mug has a smart push-button function so you can open and close it with one hand; thanks to the flexible 360-degree opening, you can easily drink from all sides of the Mug. 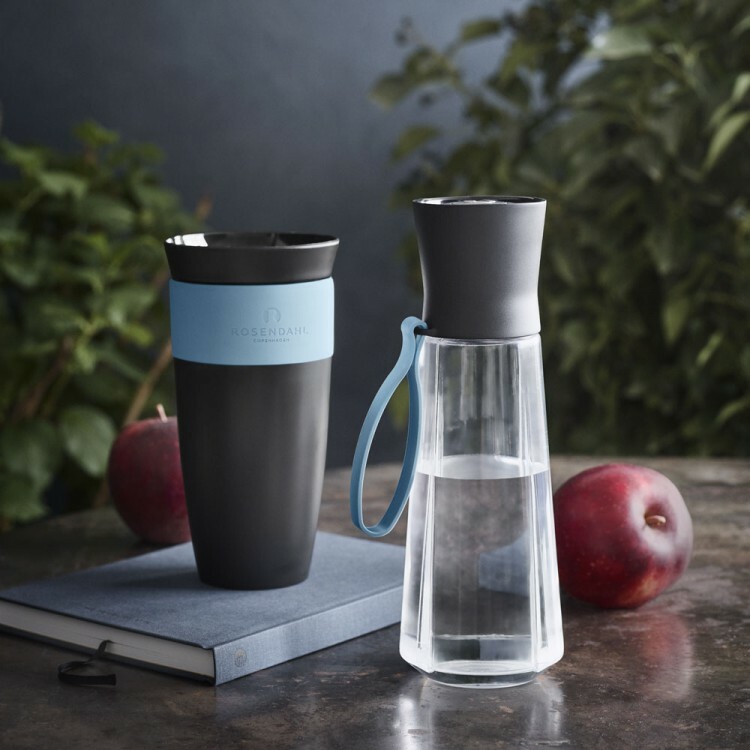 The Thermos Mug has a non-slip grip, so it fits nicely in your hand and is easy to carry around at work, at school or on an outing with family and friends. 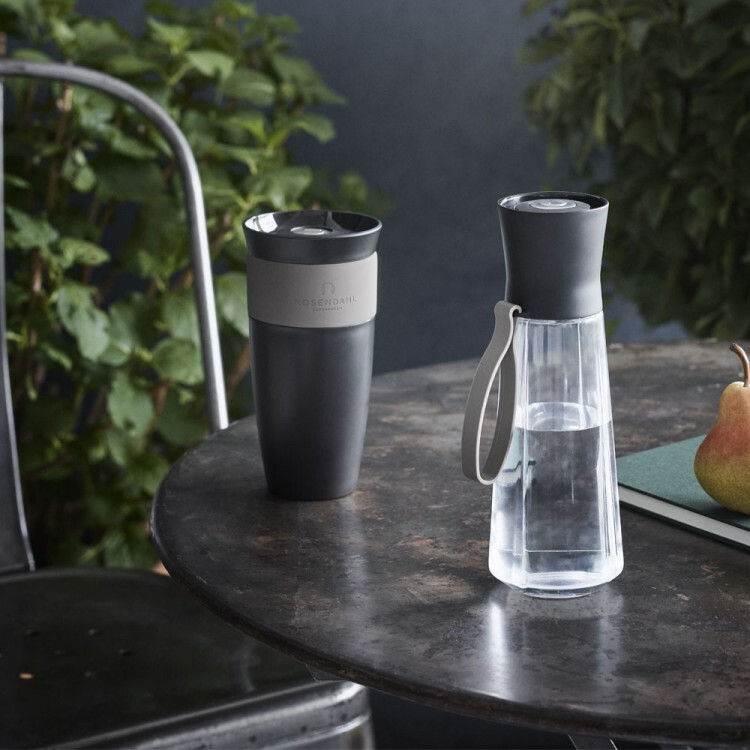 The smart Rosendahl Grand Cru To Go Drinking Bottle holds 0.5 l. This nicely designed bottle sports the characteristic Grand Cru grooves, and has a practical push-button function, so you can open and close the bottle with one hand. The Bottle is made of Tritan plastic with a silicone strap, and is completely free of phthalates and bisphenol A (BPA). The Bottle is 22.8 cm tall and 7.7 cm in diameter, and is a perfect companion on the go, for example at work, at school, at the gym or when you’re just out for a walk.